Last Friday night David, Ian, Stu and I went to the Bloomsbury Ballroom to see Saint Etienne perform their 1991 album Foxbase Alpha live. Saint Etienne were, as ever, quite brilliant. 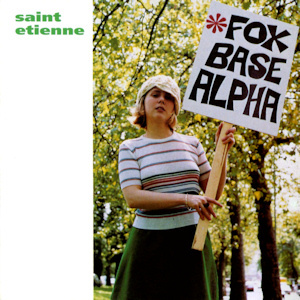 And Foxbase Alpha is, of course, a sublime debut recording. So we were, as you might imagine, pretty relieved that it was so faithfully reproduced for us on Friday - samples and all. "Would you like some sweets, Willy? Would you like some sweets, Willy?" "Come on, auntie, we'll miss the bus!" Foxbase Alpha has been rereleased this week with some extra tracks and b-sides. Thanks very much for the tickets. LSD. It's the new money.